Carl Batcheller, 83, of Topeka, passed away Sunday, November 4, 2018. He was born September 26, 1935, in Paola, Kansas, the son of Joe and Louise (Weers) Batcheller. He attended public schools in Paola, Kansas. He served in the Active Duty United States Air Force, retiring after 21 years of service. Carl was employed by the Goodyear Tire and Rubber Production in Topeka for 10 years. Carl married Neva M. Grame in Topeka. She preceded him in death in February of 2007. 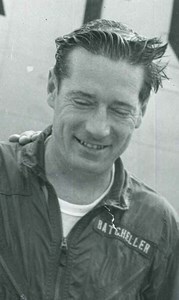 Survivors include a son, Curt L. Batcheller, Bellevue, Nebraska. He was preceded in death by his parents; a daughter, Debbie Sue Batcheller; and two sisters, Mary R. Glaze and Jean Gregory. Carl was loyal family man who enjoyed fishing and watching movies. Honoring Carl’s request, cremation is planned. A graveside ceremony will be held at 11:00 a.m., Saturday, November 17, 2018 at Mount Hope Cemetery, Topeka, Kansas. Dove Cremations and Funerals, Southwest Chapel is assisting the family. To leave a special message for Carl’s family, please click the Share Memories button above. Add your memories to the guest book of Carl Batcheller.